The Northern California World Trade Center has an enviable international reputation as a World Trade Center that represents a powerful multi-billion dollar import/export industry. When we reach out, World Trade Centers, trade offices, trade diplomats and corporate executives take notice and are anxious to further strengthen and develop relationships with the impressive businesses that continue to build the economy of Northern California. For more than a decade, the NorCalWTC has been honoring Consuls and Trade Commissioners within California at this high-profile luncheon. This event has proven to be an effective platform to create international connections that promote business relationships through one on one networking opportunities with trade officials. The increased access to foreign government representatives has allowed local business to foster increased international trade between California and its global partners. Click here to register for the 21st Annual International Business Luncheon on May 24. All services provided by the NorCalWTC in developing the International Exchanges for international professionals participating in governmental programs are available on a fee-for-service basis. The NorCalWTC brings buyer missions to the region in partnership with the World Trade Center network and the U.S. Trade and Development Agency. Upcoming trade missions are listed on our Events page. 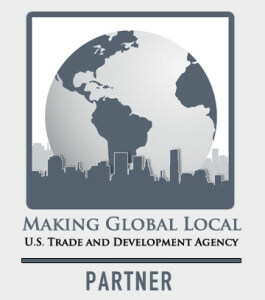 In addition to reverse trade missions, the NorCalWTC leads trade missions to World Trade Centers and various regions outside the U.S. in order to foster collaboration and promote business development for companies in Northern California. NorCalWTC trade missions allow members to meet face-to-face with potential international business partners and foreign government decision-makers, as well as explore new export and investment opportunities. Trade missions offer an unmatched experience for U.S. companies to learn about foreign trade and investment, as well as develop relationships in attractive global markets. If you are interested in a target city for a trade mission please contact our office to discuss how we can help facilitate your program.